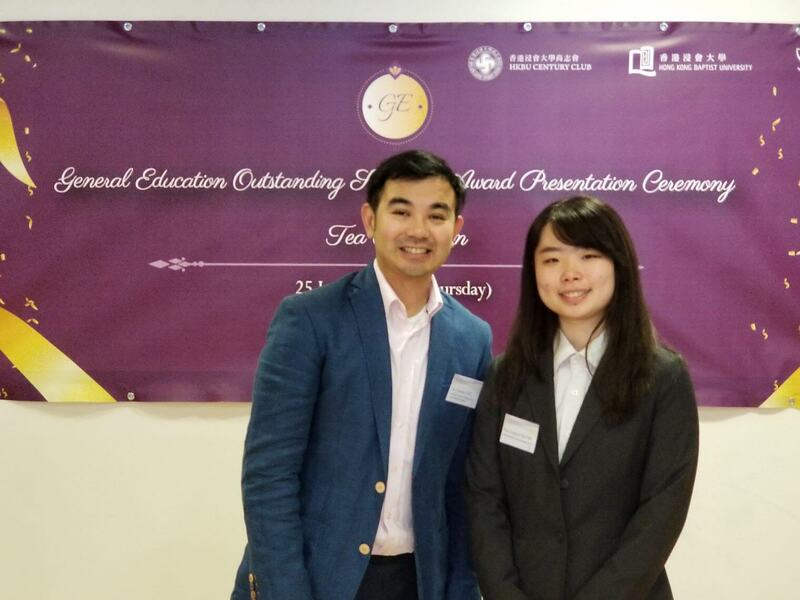 Sponsored by HKBU Century Club, the “General Education (GE) Outstanding Students Award Scheme” is designed to award the students who have excellent academic results in GE courses, active participation in GE activities and enthusiastic community services. 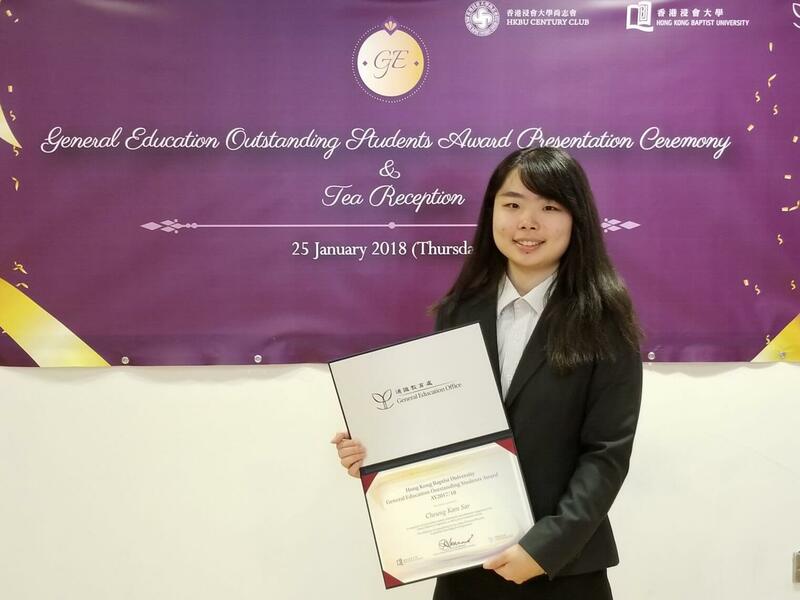 Cheung Kam Sar (Year 3, PR concentration) is one of the five awardees this year and granted a scholarship of HK$5,000 with a certificate. Congratulations!